Treat your landscape to a bit of the tropics with the addition of the brightly colored and fragrant plumerias. 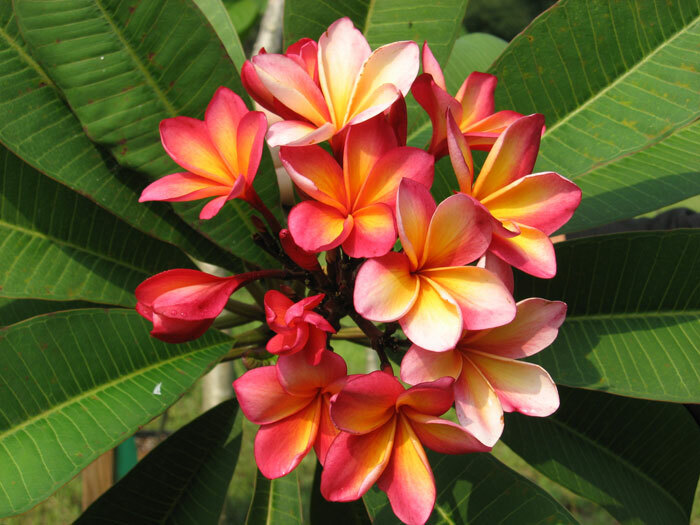 Also know as the frangipani and Hawaiian lei plants they fill with clusters of white, yellow, pink, red or blended flowers during the warmer months. Plumerias planted in the ground can grow to twenty feet tall, but locally, many are kept in containers which restricts their height to about 8 feet. The plants lose their leaves during the winter months and are very cold sensitive. Be prepared to move plumerias into a frost free location where temperatures remain above freezing during cold winter weather. Or if in the ground give them as much cold protection as possible. Some use pipe insulation to protect the outer limbs which seem to be the most old sensitive protions. Use the following tips to encourage new growth and to produce flowers from container plantings during the spring through fall growing season. 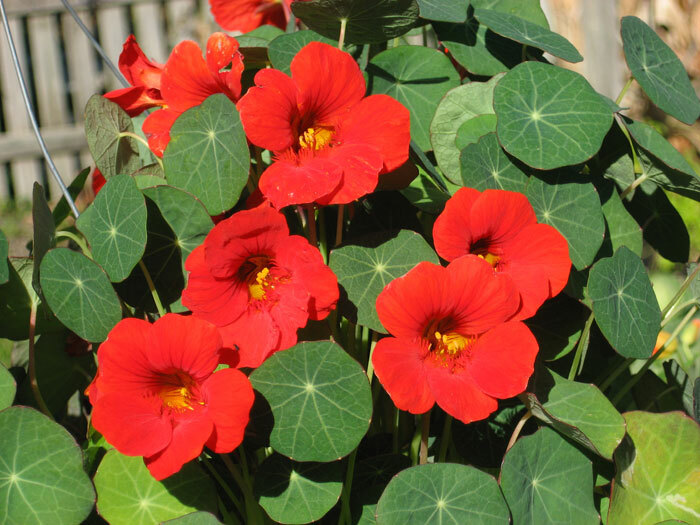 Keep plants in a sunny location for best growth and flowering. Moisten when the surface soil feels dry to the touch. Feed once a month March through October; none during the winter. Control rust and mealy bugs with sprays as needed. Keep plants compact with periodic pruning to remove excessive growth. Many gardeners like to root their prunings to produce more plants. The foot or so long limb portions root very easily during the warmer months in containers or vermiculite or loose potting soil.